The director says she writes "from character-out" when putting together her movies. 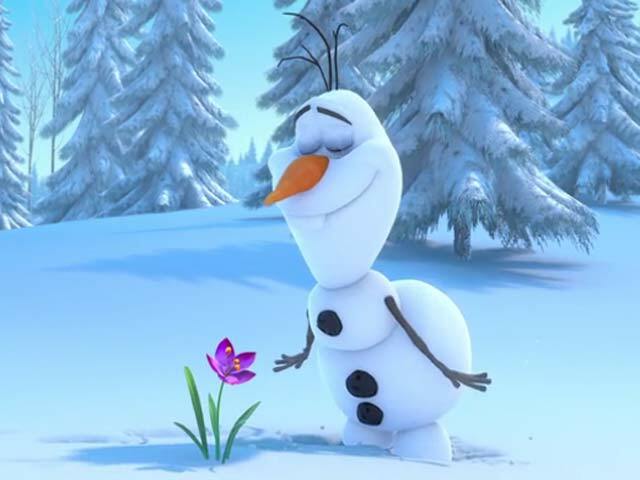 When 'Frozen' made its debut all the way back in 2013, the Disney film became an instant hit and one of the most successful releases of the company's history. 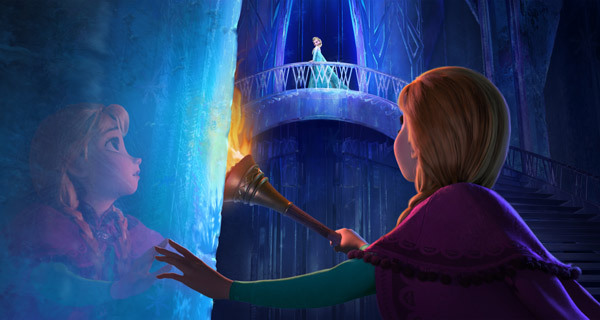 Introducing a whole new batch of characters and allowing an all-star cast to voice them, including Idina Menzel and Kristen Bell in the leading roles of Elsa and Ana respectively, the world welcomed some exciting new personalities into their hearts. 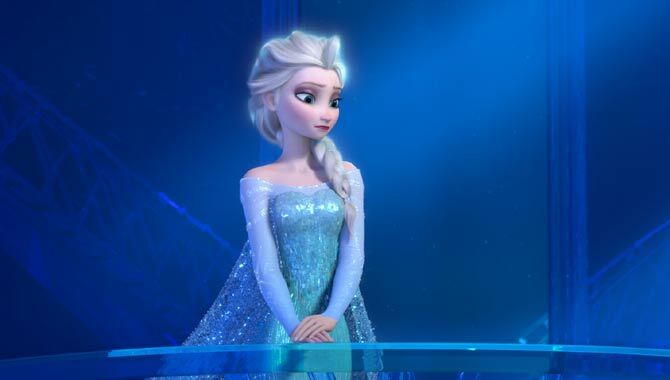 Could Elsa find love with another woman in Disney's sequel to 'Frozen'? Directed by Chris Buck and Jennifer Lee, the film went on to take in over $1.276 billion in the worldwide box office, smashing all expectations and securing a sequel that's now in development. Exactly what we'll see in the second 'Frozen' film hasn't yet been revealed, but some fans have had their own ideas about what they'd like to see go down. One of the most popular ideas doing the rounds on the internet is seeing Elsa enjoy a relationship with another woman. What better way to encourage cinema-goers to see the forthcoming live-action 'Cinderella' movie, than the promise of more 'Frozen'? Disney announces short film 'Frozen Fever' to precede the film when it hits movie theaters on March 13th 2015. Hollywood is going fairytale mad this year, what with 'Frozen' becoming such an enormous worldwide hit and several adaptations making waves in the media such as 'Maleficent' and the forthcoming 'Into The Woods'. 'Cinderella', starring Lily James, Helena Bonham Carter and Cate Blanchett, is the next big thing for film folklore, but it seems people are still stuck on the Oscar winning animation featuring Anna, Elsa and friends. Oprah Winfrey is seemingly involved in an upcoming Richard Pryor biopic and is rumoured to be playing his abusive grandmother. Oprah Winfrey has confirmed her involvement in an upcoming biopic of the late American actor and comedian Richard Pryor. The 60-year-old added a photograph to her Instagram account in which she posed alongside Lee Daniels and Mike Epps. She added the caption "just finished a great 1st read session" and used the hashtag "RichardPryor". 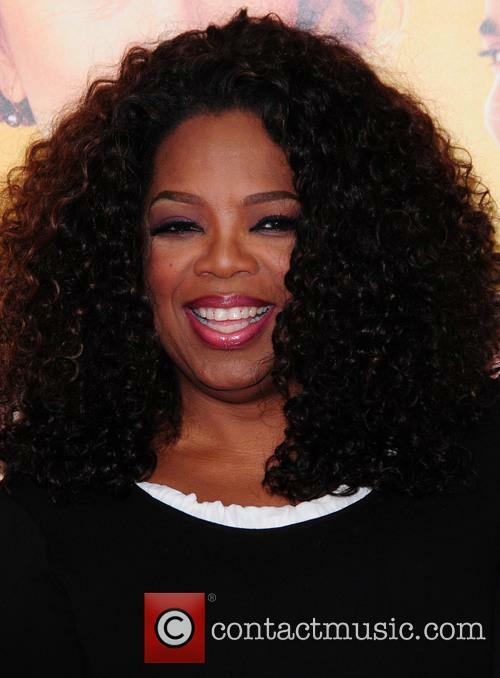 Oprah Winfrey will reportedly play Richard Pryor's grandmother in the upcoming biopic. 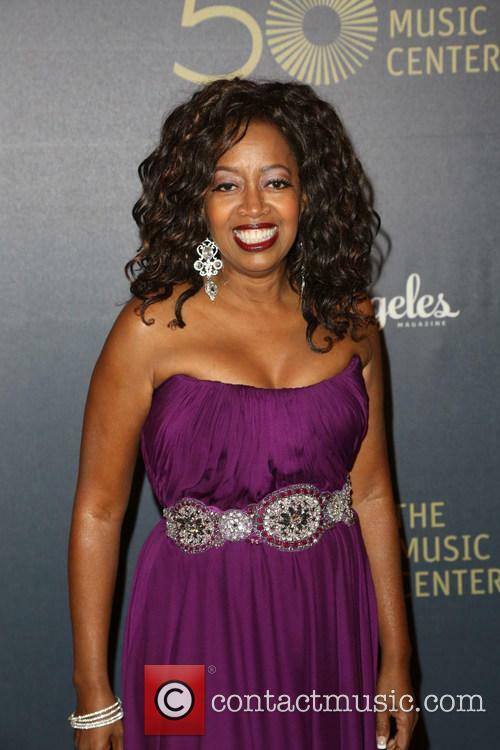 Read More: Oprah Winfrey Isn't Fazed By Turning 60: "Every Year Can Be A Brand New Journey". 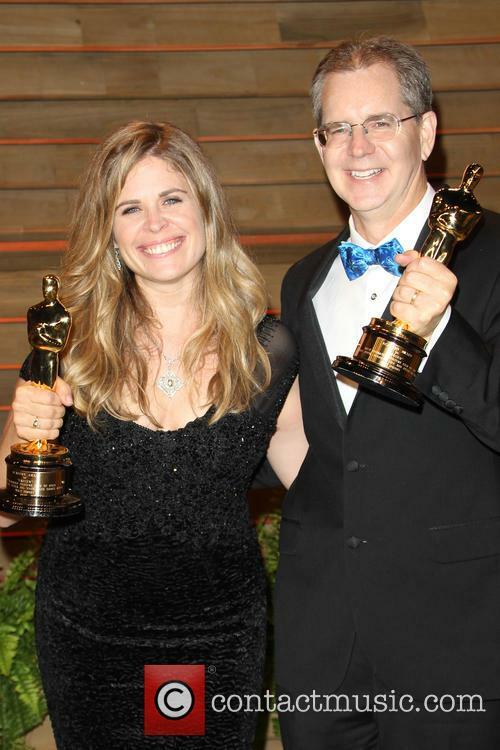 Jennifer Lee probably has a job for life at Disney. 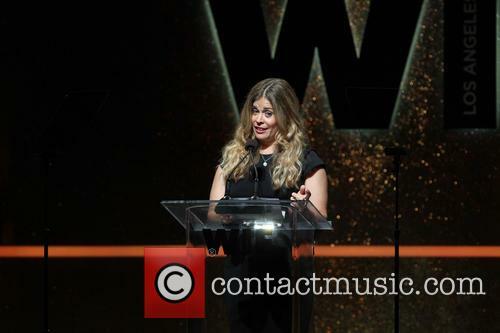 After the monumental success of Frozen - now the biggest animated movie of all time - and the impressive box-office of Maleficent, writer and director Jennifer Lee has been singled out to adapt the children's book A Wrinkle in Time for the heavyweight studio. Anna is set to be the fearless Queen of Arendelle, but when her sister Elsa starts suffering the effects of her powers to create snow and ice and manages to cloak the entire city with a bitter winter, Anna realises that it's up to her to deal with it. It's only July, but it's bound to be unseasonal for eternity unless Anna can find her sister - now known as the Snow Queen - and get her to break the spell. She sets out on a treacherous mission to look for her alongside her best friend Kristoff, an ice breaker (quite literally), and his super-friendly reindeer Sven. Along the way they meet the bumbling, nasally challenged snowman Olaf as well as several unwelcome mountain dwellers - but that's the least of their worries when it turns out that Anna's beloved sibling is being seen as a ruthless monster, which she knows, deep down, she isn't. 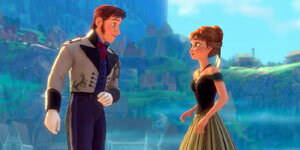 Disney goes back to the classics with 'Frozen' loosely based on the fairytale 'The Snow Queen'. 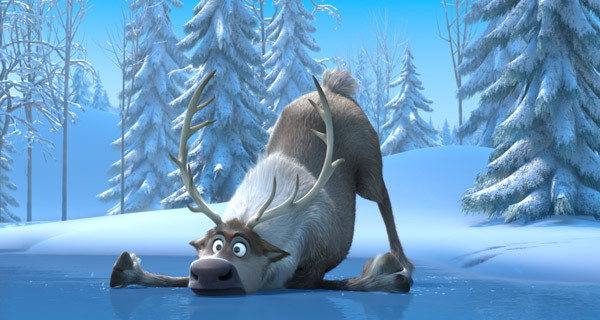 'Frozen' is the new Disney animation based on a much-loved tale that is due to hit the UK this winter (most appropriately) starring Kristen Bell. Fairytales are definitely becoming popular again with some of the world's favourites being transferred to stunning, high-energy and often grisly live action flicks, among them being 'Jack the Giant Slayer', 'Hansel & Gretel: Witch Hunters', 'Snow White and the Huntsman' and not to mention the TV series 'Once Upon a Time' which is now in its third season. However, Disney has brought the delight back to children and reverted to what they are known for with their (albeit vague) rendition of Hans Christian Andersen's 'The Snow Queen' in an animated adventure entitled 'Frozen'. 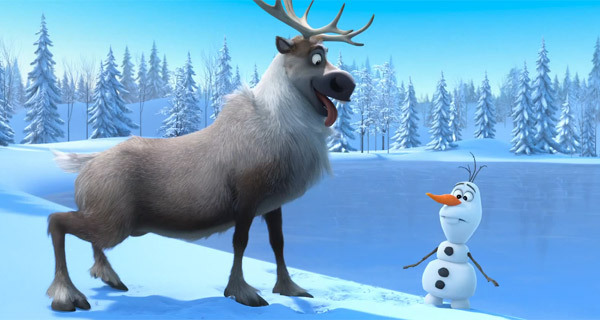 Starring Kristen Bell, Josh Gad and Broadway sensation Idina Menzel, it tells the story of Anna's quest to undo her sister Elsa's power over the kingdom of Arendelle, which she has cursed into eternal winter, accompanied by her friend Kristoff, his reindeer Sven and a snowman called Olaf. 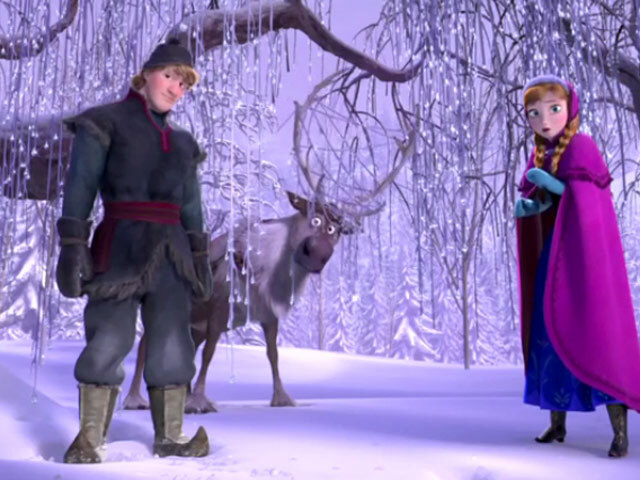 Anna is a young girl determined to save the world as she sets out with her best friend Kristoff, a burly mountain dweller, and his friendly pet reindeer Sven on a mission to restore warmth to the kingdom of Arendelle. Her wicked sister, Elsa, also known as the Snow Queen, has cursed the realm to suffer a never-ending winter, forcing Anna and Kristoff to brave freezing conditions unlike any they've ever experienced as they set out to stop Elsa. But the bitter winds and endless snow fields become the least of their problems as they encounter creatures such as trolls along the way. They also meet the nasally challenged snowman Olaf, who joins them on their trip after becoming confusedly acquainted with Kristoff. Will Anna save the frosty kingdom? Or will Elsa's power prove much too strong? Visually ambitious and packed with inside jokes for arcade gamers, this colourful animated adventure is an enjoyable romp but is probably too energetic for its own good. It simply never settles down so that we can sink into its various settings or get to know its lively characters. 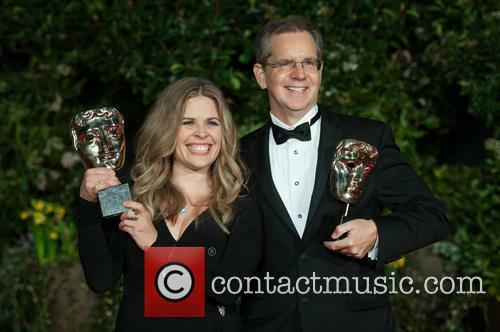 So in the end we've enjoyed the talent of the animators and the vocal cast, but we feel rather exhausted. The story is set in a vintage 1980s arcade game called Fix-it Felix Jr, in which Felix (voiced by McBrayer) must repair damage inflicted by Ralph's (Reilly)massive fists. But after 30 years, Ralph is tired of being the unloved villain. He wants to be the good guy for a change, so heads across the room into another game, the combat role-play adventure Hero's Duty. There he's trained by tough-talking squadron leader Calhoun (Lynch) and battles space insects to win a medal and escape. But a killer bug follows him into the candy-themed road-race game Sugar Rush, threatening the balance of the whole arcade. 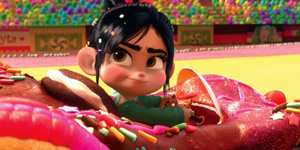 The majority of the plot takes place here, as Ralph teams up with unloved "glitch" Vanellope to challenge the smiling tyrant King Candy (Tudyk). Unlike the pixellated Fix-it Felix Jr and the virtual reality of Hero's Duty, Sugar Rush is a pink-hued, delicious-looking land of sugary treats. Each of these games, and the transfer station between them, is populated by spirited characters with their own subplots. And there are also appearances by iconic favourites such as Pac-Man, Mario and Q*bert. So with the different animation styles and eclectic ensemble of characters, our eyes aren't bored for a second. Tragically bad "western" -- in the sense that it takes place in the past and involves horses -- with George Segal(!) as a con man cowboy and Goldie Hawn(!!) as a bawdy and conniving showgirl. They hate each other but fall in love when a briefcase full of money comes into play. Rotten dialogue and totally derivative story, not to mention some of the worst acting seen this side of the Pecos.